Technology start-up that created a new category of toys called STEAM (the A is for art)! 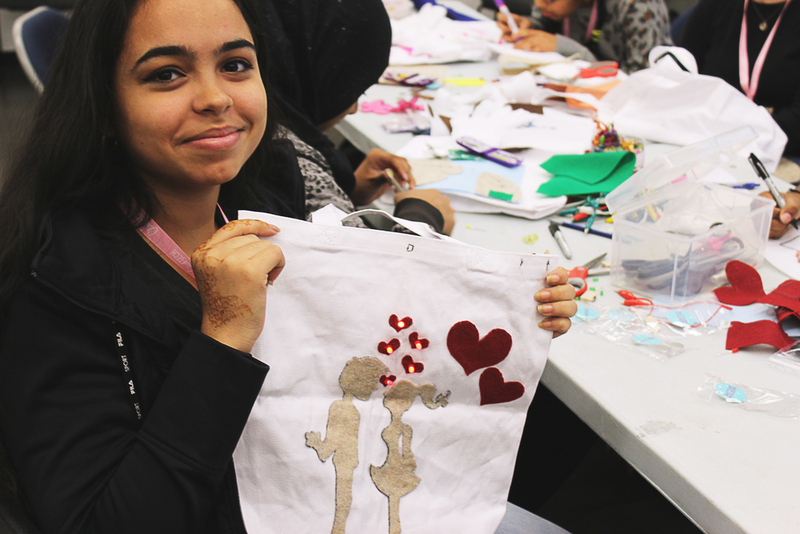 We introduce difficult concepts through application of arts and crafts. We believe that you don't need to know how to code to make something truly amazing. Blink Blink's mission is to introduce difficult concepts of circuitery through arts and crafts and provide girls with safe environment to experiment. 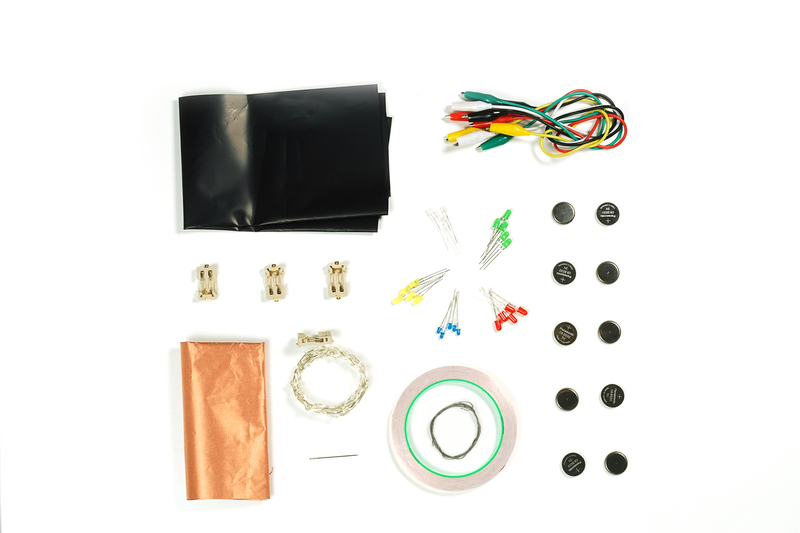 The kits that we developed included simple materials - LEDs, fairy wire, copper tape, conductive fabric, velostat etc - and could be easily combined with common household materials. Our goal was to push the boundaries of creativity and encourage little makers to think outside of the box. Check out some cool write ups about us in Time and Fortune! Blink Blink's user base consists of individuals ages 8 and up. Working with young makers is exciting, but could be very demanding. As a product designer, my main challenge was to develop projects that were incredibly easy to follow yet engaging for a variety of age groups. As the attention is in short supply, I found that the best results are achieved when step-by-step tutorials are provided. As a part of Blink Blink experience, I developed a number of video tutorials in stop motion style that would guide the user every step of the way, explaining in details the most difficult parts of the project and allowing to learn at own pace. Every project was structured in the way that would allowed to add the difficulty level if desired. We created a number of Kits that would gradually increase the difficulty of featured projects and would focus on different aspects of circuitery. To master creative problem solving, paper is an incredible material that enables prototyping at low cost. Users can quickly learn by making origami projects and greeting cards. One of my favorite projects from the paper series was a Light-Up Bookmark as I wanted to make something for everyday use. The bookmark was designed to have two parts - the body that carried LEDS and a tongue for the battery. Two part system enabled a simple switch helping to preserve the battery. My favorite part was that it can be used as a flashlight. When the bookmark is sandwiched between pages it lights up helping to quickly find the book in the bottomless backpack. It also comes in handy when trying to read in the dark room. A series of projects designed for those with interest in wearables. While only slightly more difficult than paper projects, wearables allows to explore more complex problems and learn about parallel and series circuitry. It also introduces new materials such as conductive thread and fabric with infinite number of ideas. A simple Light-Up Pumpkin pin I made for Halloween became an instant hit. It walks the users through the differences between different types of circuitry at the same time allowing to expand on the old concepts and incorporate switches and pressure sensors. Projects for the true ninjas! Perfect for advanced makers who have had experience sewing, the ugly Christmas sweater was one of my favorite projects of all times and so fun to make! The concept was simple and featured 3 LEDs that would light up when a designated pressure point is pressed. As a first step, I designed the deer pattern that users could easily download on the website and use in their own project. The circuit was designed in series and runs through the eyes and the nose of Rudolph. To preserve the life of the battery hidden in the ear, I incorporated a velostat switch that allows users to turn the lights on and off. As an innovative company led by women, we care deeply about the gender biases still existing in many fields, technology especially. We put a lot of effort to change that and give the girls a chance to shine. To reach our gols we hosted numerous workshops and masterclasses for diverse groups of participants with the most rewording results!